Dubai’s Department of Tourism and Commerce Marketing (Dubai Tourism) has launched new digital tour apps that will help visitors discover and learn more about significant and historic sites and landmarks in the city. The tours, titled ‘Metro Moments’ and ‘Al Fahidi Architecture Tour’, are available to download for free from the Apple Store and Google Play. Supported by GPS technology, both tours use audio narrations to guide visitors through Dubai, automatically progressing from one point of interest to the next in real time, depending on the user’s location in the city. Metro Moments is available on Voice Map, an app that uses audio guides and real-time location to direct users towards their next journey of exploration. 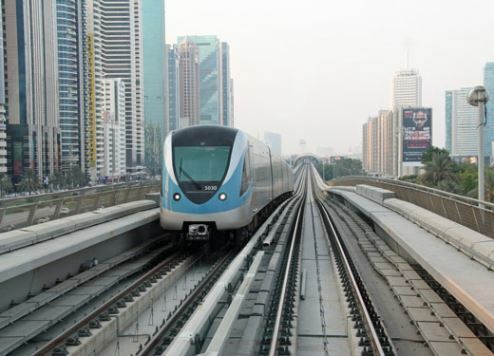 The tour provides users with information on the different points of interest and attractions that can be found along the Dubai Metro route between Dubai Airport Terminal 3 and Dubai Mall. Al Fahidi Architecture Tour, meanwhile, can be found on the Pocket Guide app, an electronic version of a human tour guide. The tour introduces users to the rich history and heritage of Dubai’s popular Al Fahidi District, part of the wider Dubai Historic District.